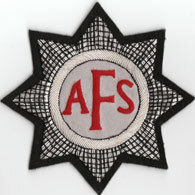 Wire Blazer Badge for the Auxiliary Fire Service (AFS). 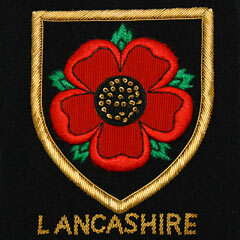 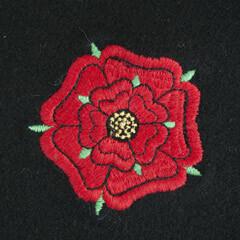 Lancashire red rose, silk like thread, blazer badge. 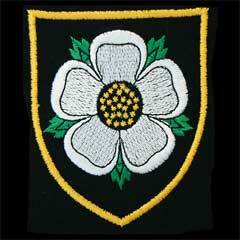 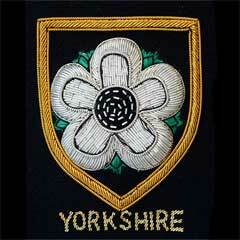 White Rose of Yorkshire, silk style sleeve or pocket badge.